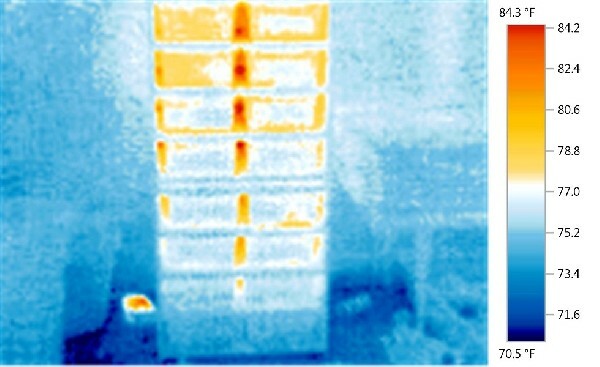 I recently bought a thermal camera at work and thought I would bring it home and see the thermal pattern of my snake rack. I used to have a very large rack setup and checking each individual cage was a big pain in the a$$. These cameras allow you to scan the whole room at once. 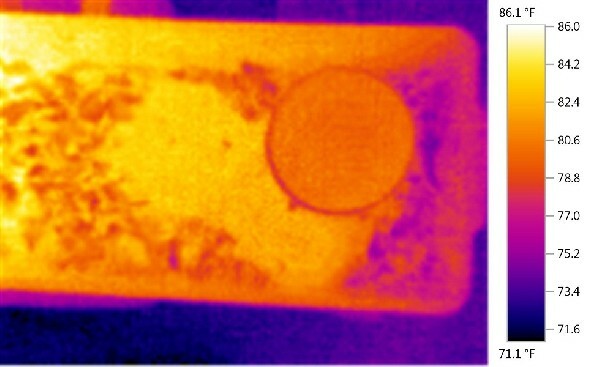 I wentto pick up some frozen rats and the guy I get them from also runs a pet shop, I brought the camera in and you could see the different temps of all the fish tanks with one guick scan. 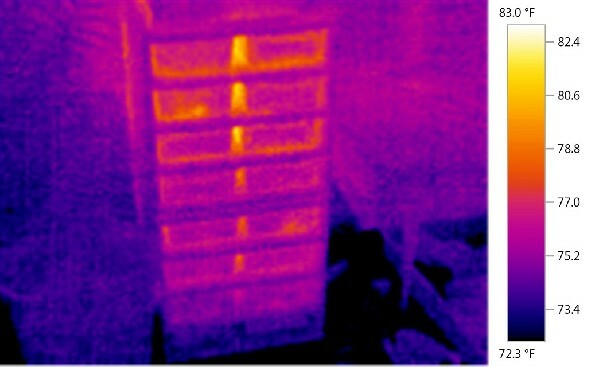 Here are some pics that should interest anyone that keeps cold blooded animals and needs to monitor a temp gradient.